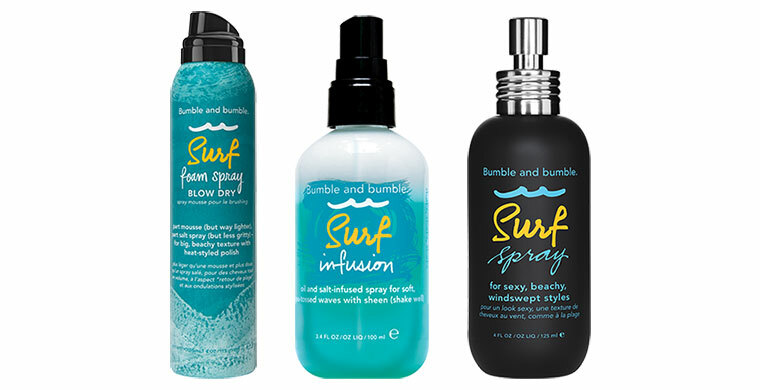 WHAT: Part mousse (but way lighter), party salt spray (but less gritty) – for big, beachy texture with heat-styled polish. HOW: Shake well. Mist from roots to ends (a little goes a long way). Blow-dry with a brush or, for a more windswept style, with hands. WHAT: Salt-infused for beachy, windswept texture (whenever, wherever). HOW: Shake well to thoroughly blend the salt and oil bi-phase formula. Spray evenly on damp or dry hair, focusing on the mid-lengths to ends. Style and let dry. For more volume, diffuse. Pairs well with the original Surf Spray at the roots.